Friday Funday: 3 Googley Ways to Have some Summer Fun Now. Looking for a little break from the reviews, marking, reporting, prep, and generally work in general, well look no further. Below you will find hours for wasting time, escaping, or recharging, depends on your mindset. Brought to you by Google. 1. Experiments with Google: You may have heard of Google Quick Draw or Emoji Scavenger hunt but these just scratch the surface of the Google Chrome Experiments available showcasing web browser based experiments, interactive programs, and artistic projects. Enjoy the journey down the rabbit hole into the web-based, VR, AI, and AR world. One of my new favorites is the Morse Code Experiment, check it out. 2. Google Doodle Games: Google Doodles are more than amazing pieces of art celebrating holidays and icons figures. The best ones are interactive but the trouble has always been that they are only there for a day. Great news, now you can turn back the clock into the archive of Google Doodle interactive games. Check out a few favorites below. 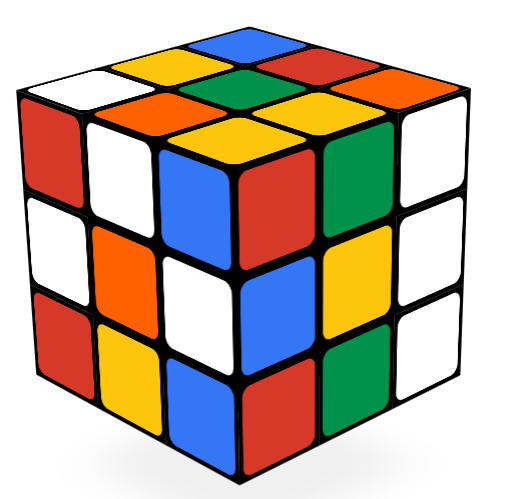 Rubix Cube: See if you can complete the digital version. Basketball: With the NBA Finals going on, kids would love to see if they can sink 3s like Steph Curry. Birth of Hip Hop: My favorite by far. Not only does the intro provide a great history lesson but the game is just pure fun. Pony Express: Fun racing game that is as expected, addictive. Pac Man: An oldie but a goodie. 3. Let me Google That for You: This is my favorite resource for responding to people who have questions that a simpple Google Search can solve. Have a little fun and start responding with one of these linked in your responses to emails which ask simple questions. Be aware, people’s responses to this may vary. How to upload a word file to google Docs. How do I create a short URL? There is a big disconnect between perception and reality in a world of click bait driven media, profit driven news, and an overwhelming amount of content at our fingertips. Fortunately we are seeing more and more massive collaborative efforts to make data live, public, and easily accessible. You may recall Hans Rosling’s TED talk: Debunking third-world myths with the best stats you've ever seen from over 10 years which wowed us with data and the ability to delineate historical events, impact and similarities between between nations which once seemed so different. Sadly since then, Hans has passed away but graciously he left us a legacy and his work lives on and continues to grow on through the efforts of this son, Ola and his daughter in-law Anna through the Gapminder website and their newly published book Factfulness. Gapminder Tools puts the data that wowed us a decade ago into the hands of anyone. Users can select from a from a large variety of datasets ranging from life expectancy to literacy rates, to energy, to name some from any country on earth over the past 100 years in various forms including maps, bubbles, ranks, or graphs, etc. Data comes to life, can tell a story, or unearth new truths for students. Hans Rosling's FactPod: If you dig deep enough might be fortunate enough to stumble across the 18 part Factpod Series which addresses some of the world's most pressing issues such as Ebola, refugee crises and how Mexico is closing the gap on the US. What a gift for students and teachers. This is an amazing showcase of what his possible with data. I wonder what stories we will tell. Collaboration Tools: Don't Forget to Hit Save. Yes the “Save” button still exists. Who knew? Of course I knew that when publishing with Squarespace I needed to hit “Save”, but I didn’t really believe that you if you forgot to, that you would lose all your work. Well, you do and will if you don’t. Even tech support coldn't help, how demotivating. For those of us who grew up in the pre-Google Docs world I am sure you can understand my frustration when I went to publish a new blog post and suddenly half my writing went missing. I was immediately transported back to 1999 when I pulled the plug on enrollment in Computer Sciences because of a similar frustration. Oh, how we forget. Now how does this relate to education? For me, this just reinforces the need for schools to give kids platforms which are easy to use and as stress-free as possible. I cannot believe the number of schools still not using the almost “Save Button Free” Google Suite for Education. When I think back to my pre-save button free teaching experience in the early 2000s, I recall with great clarity the student panic when they “forgot” to press send or save. Now I fully understand that this was a commonly acceptable and used excuse but I also understand the frustration and deflating feeling you get when it really happens. Therefore, if we are going to ask students take risks, be creative, and solve real-world problems, let’s do our best to create the optimal climates for these experience and not lose them because of dated or obstructive technology. Especially when it’s free. P.S. I know someone from my Google tribe is going to point out the places where Google has the Save button. Let’s hear it. I can only think of one places. Meet Google Keep, in my opinion, Google’s most underrated collaborative task management tool which embeds various forms of media including audio, photos, annotations, among others. Think collaborative Post-it notes with embeddable media. What really sets Keep apart is the syncing capabilities between other Google products, the mobile app, and of course the ability to search within Keep. If you have students working in collaborative teams Keep could be used to assign tasks with a checklist and due dates including integrated links to resources. All this in one place, in real time, and shared with all members of the group. Imagine this, in one place, amongst all your teams/groups. Record a voice recording. Keep will translate to text. 1. 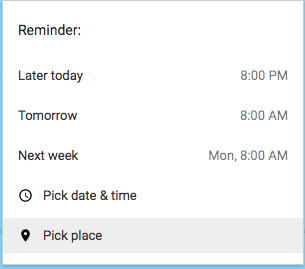 Create a list and click on the reminder icon at the bottom left of the list. 3. Add a location. Whenever you or collaborators on this list come within close proximity to the location, they will receive a notification which will remind them what is on the note/list. 4. When you’re finished, you should see the location at the bottom of the note/list. 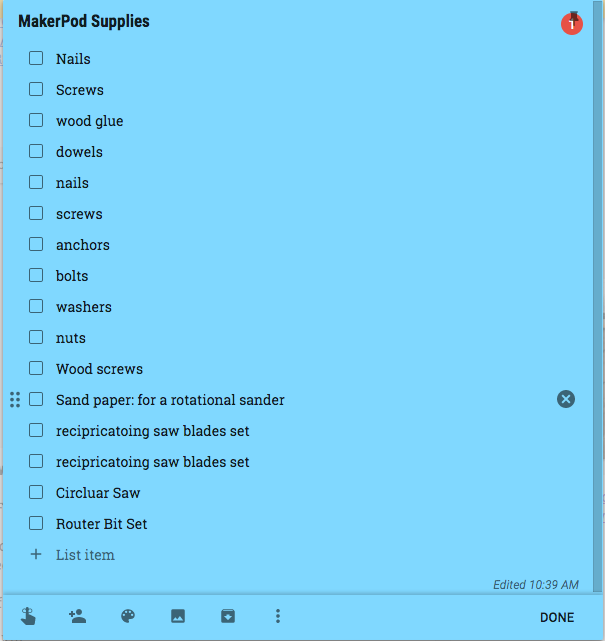 If you would like to learn more about how to leverage Google Keep as a task management and idea capturing tool, check out my "Keep it Together: with Google Keep" workshop. Connected Educator Month #CE14 has been a very rewarding month so far at #ASFMTech. 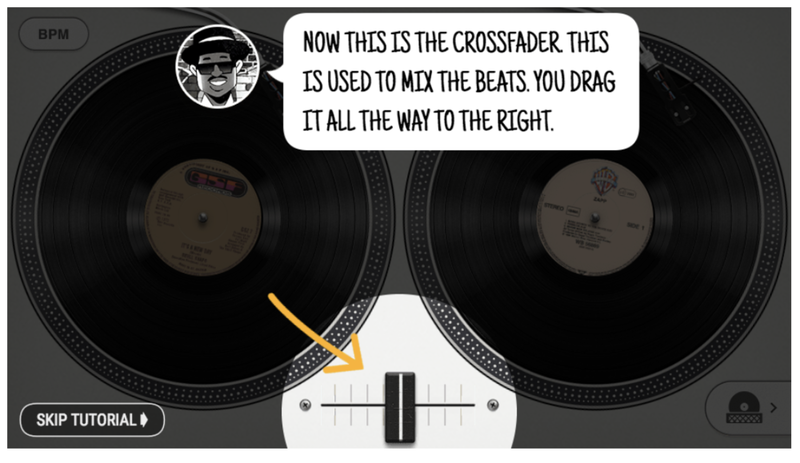 My favorite resource thus far has to be the "Grab the Mic" session with @OriginalMisterC. Would love to see students take hold of this approach.